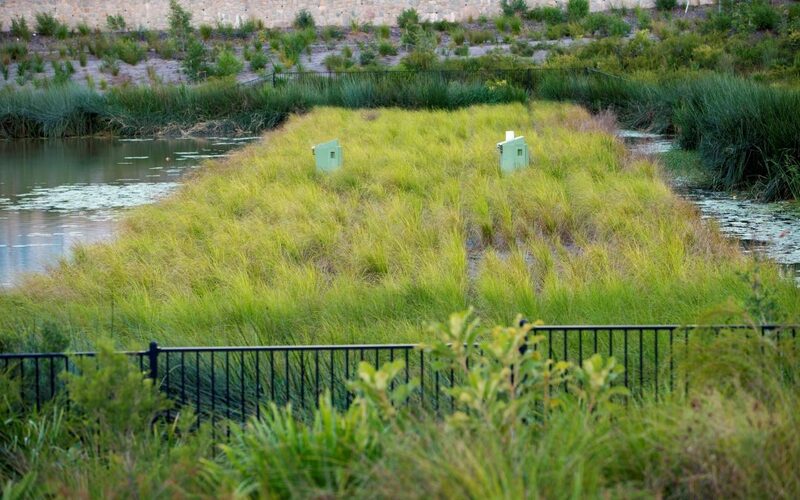 The success of Parklakes 2’s floating wetlands is recognised around the globe and three years after its installation the interest is as strong as ever. From France to Malaysia, Bangkok to Prague, the wetland system is major talking point at leading conferences on stormwater treatment. Covery Associates environmental manager Dr Chris Walker, one of the lead consultants at the helm of the wetlands project, says it was the first ever floating wetland established in a greenfield development. As well as providing environmental benefits, the wetlands system added a surprise that no one initially expected. “The lake system, which wouldn’t exist without the floating wetlands, help cool the breezes that run through the community,” Chris said. The collaboration project with the developers of Parklakes 2, Sunshine Coast Council and the University of the Sunshine Coast included a scholarship for a PhD student to help monitor the system.